Preeti's Salon is the best Threading place I have ever been in Boca Raton. and there is no waiting time ever. There are 3 girls who does threading and all of them are good. Preeti Salon is a full service salon. I would recommend preeti salon to all my friends. 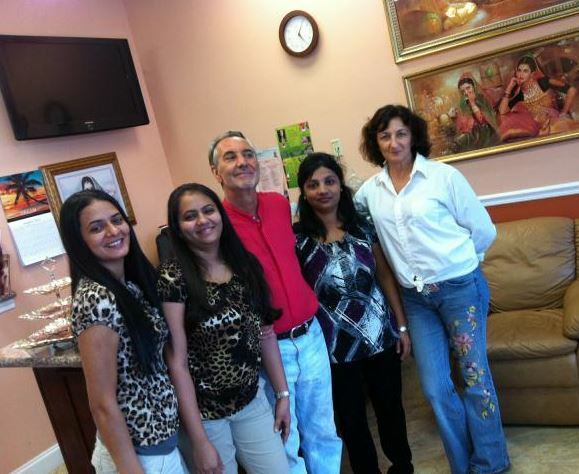 Preeti's Salon is the only inexpensive eyebrow threading place in Boca. The decor is airy and neat. This was my first experience with 'Brow Threading' it was excellent!!! Painless, fast, looks great, very professional, very clean, and very affordable...I will make this one of my beauty customs. "Preeti's Salon Where West Meets East"
At Preeti's, what you want, is what matters to us. Our team of professionals takes pride in maintaining current skills in cutting and coloring trends that will help you express your personal image. We are consistently upgrading our education to bring the latest and greatest trends to you. We specialize in all types of Threading, Herbal Facial, Waxing, Hair Cutting, Hair Coloring, Manicures, Pedicures, Massage, Bridal Make-up, Party make-up, Nails, Henna Tattoos. At Preeti's we have variety of hair treatments and services to choose from. For your convenience, we have listed the services. Hopefully this will make planning your next appointment much easier. Our goal is to guarantee the greatest results to make your overall experience an enjoyable one.